You can use a NABERS assessment to benchmark your building energy and water usage, to compare the performance of your building with others and identify areas of improvement – to save money and the planet. We can provide a NABERS assessment for your tenancy or base building. If you are a tenant, you can sign up for the CitySwitch program and get a rebate to reduce the cost of a NABERS rating. We can provide you with a report of potential improvements and estimated savings. For most buildings energy (and cost) savings of 10-40% are possible. To advertise a commercial office space larger than 1000m2 for sale or lease, you must “obtain and disclose a current Building Energy Efficiency Certificate (BEEC)”. This certificate includes a NABERS energy rating, lighting assessment and energy improvement advice. 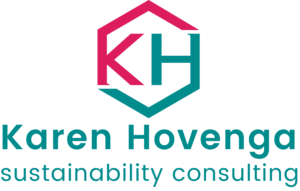 Karen Hovenga is an accredited CBD assessor and can provide these documents.